Bacon and beer (and shots of rye whiskey) go so well together. 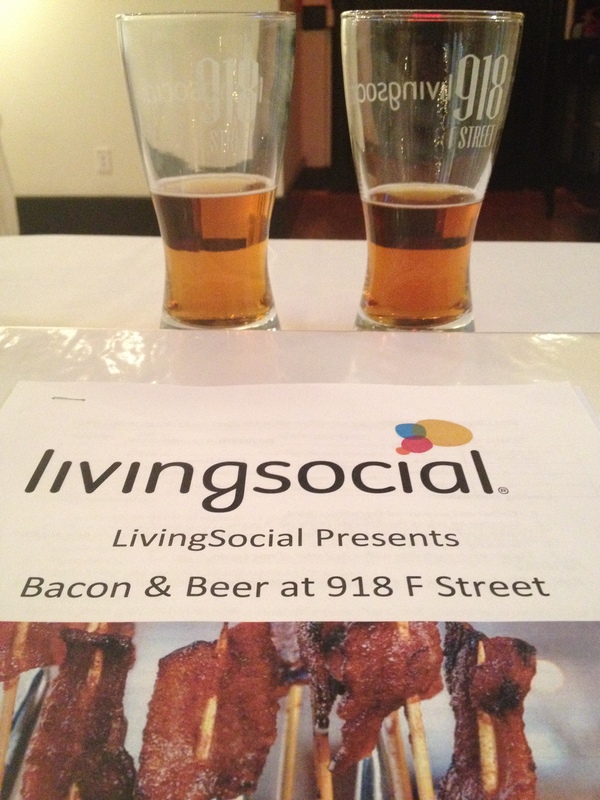 I went to yet another great event at LivingSocial‘s 918 F Street – Bacon and Beer Tasting with Flying Dog Brewery and Founding Farmers. For $19, we were treated to four small bacon dishes created by Chef Joe Goetze of Founding Farmers, four beers from Flying Dog, and a shot of rye. 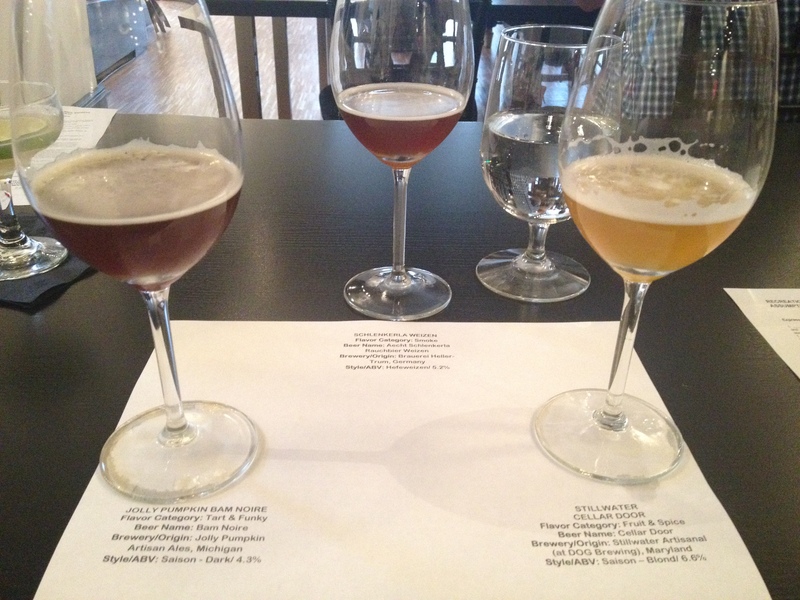 Over the hour-long tasting, we were presented with various information on the beers and bacon dishes. Snake Dog IPA and Double Dog Double IPA. We started off with the Snake Dog IPA (7.1%) and Turkey Bacon with Apple-Onion Confit with four-year Vermont Cheddar, followed by the Double Dog Double Pale Ale (11.5%) with BBQ Spiced Artisan Grilled Hickory Bacon. 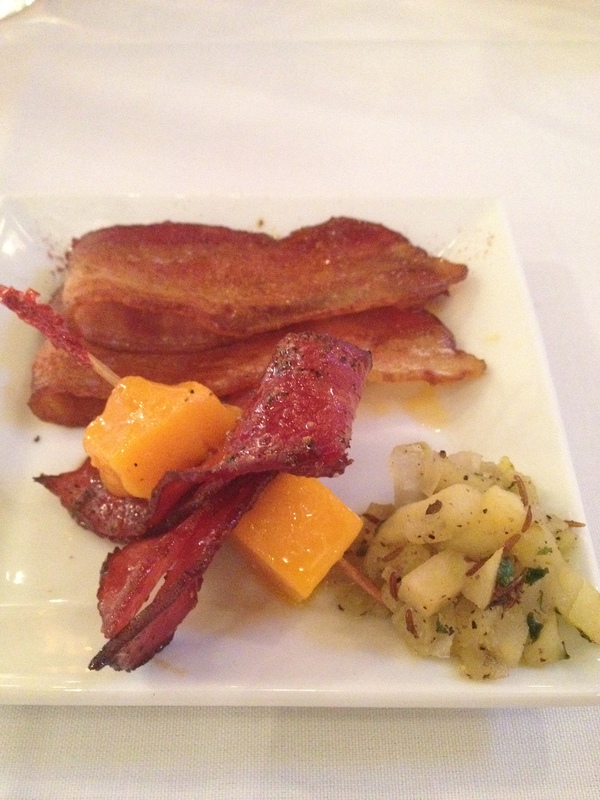 I especially liked the Apple-Onion Confit that went with the turkey bacon…it was made with caraway, yellow onion, Granny Smith apple, jalapenos, bay leaf, celery salt, and other ingredients. Really tasty. After a short break, and a shot of rye, we started on the second course. 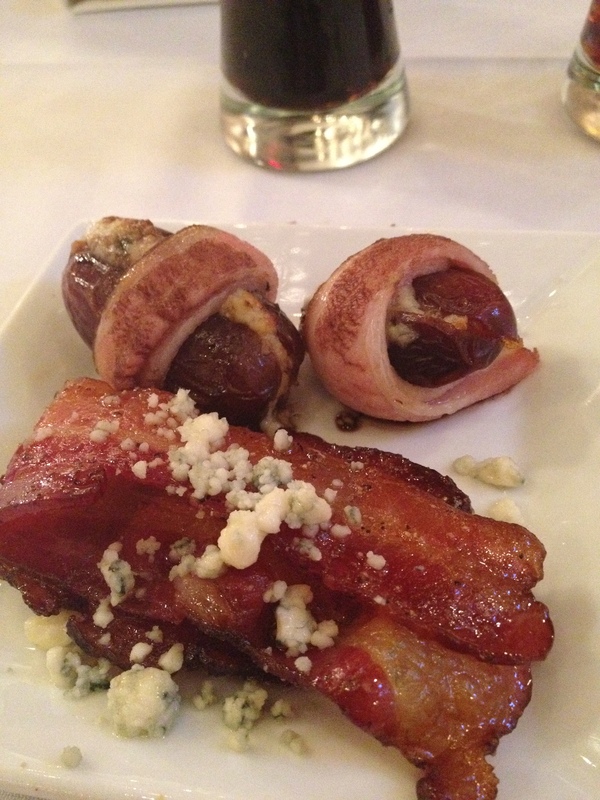 Pearl Necklace Oyster Stout (5.5%) washed down Black Pepper Maple Glaze Apple Wood Smoked Bacon with Danish Blue Cheese, while Horn Dog Barley Wine paired well with the Bacon-Wrapped Blue Cheese-Stuffed Dates (my favorite – these were delicious). The dates were awesome…I may reproduce them for my next gathering. Another great event at an excellent price. 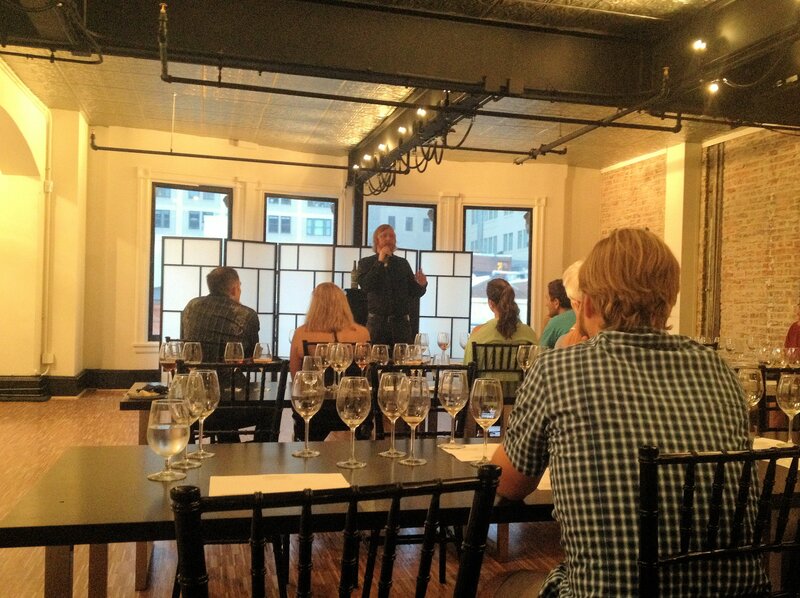 This tasting appeared to be extremely popular…I think LivingSocial was having a couple of tastings a day. As of the writing of this post, the deal is still available. You can sign up for it here. 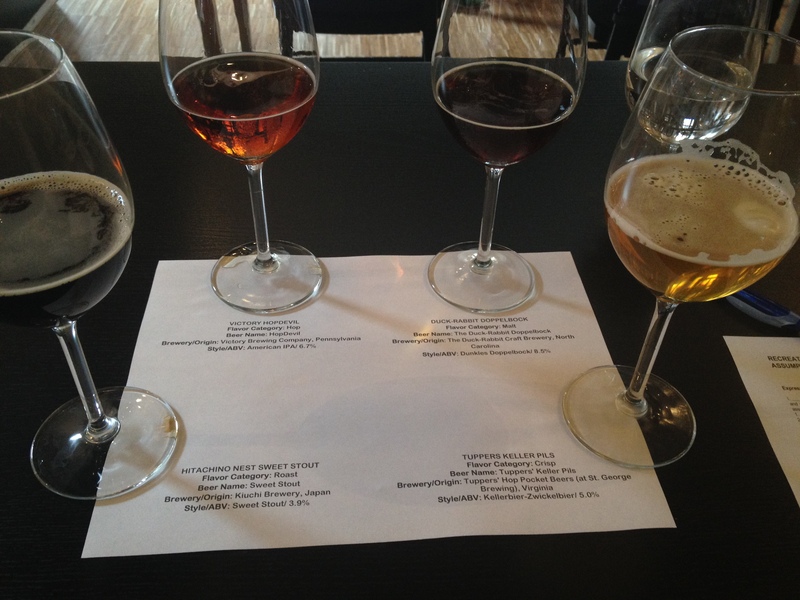 On Sunday, I went to a beer tasting event at LivingSocial’s 918 F Street led by Greg Engert, the beer director for ChurchKey and Neighborhood Restaurant Group. I can confidently state that I have never met anyone as knowledgable about beer as Mr. Engert. He certainly brings his academic education and experience to his craft. For two hours or so, he was able to discuss the history, economy, science, and societal aspects of beer. More importantly, he had picked seven beers that even I, a beer novice, could easily tell apart. A veritable professor of beers, Greg Engert introduced us to seven exceptional brews. According to Engert, the Bam Noire is what beer tasted like for 99% of its history. Tart, sour, and a slight vinegar smell at first. It had a clean aftertaste with a hint of smokiness. BACON. 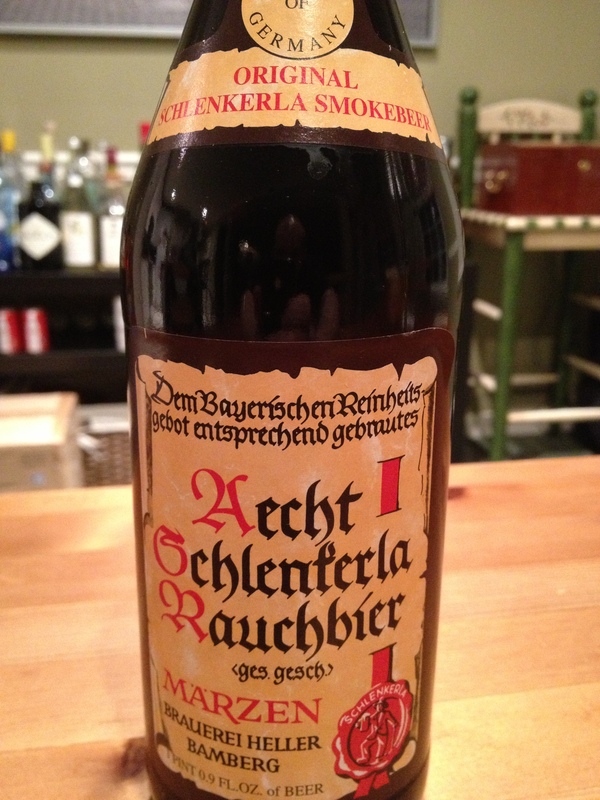 That’s all I could think of when I smelled, and then tasted, this great beer. The extremely smokey nose and flavor comes from the beechwood it’s fired with. Fruit nose with a hint of sage. The sage comes out more in the taste…white sage was used to flavor it. This beer is contract brewed by Stillwater at DOG Brewing in Baltimore. The first three brews. My favorite from this round was the Schlenkerla Weizen, in the center. 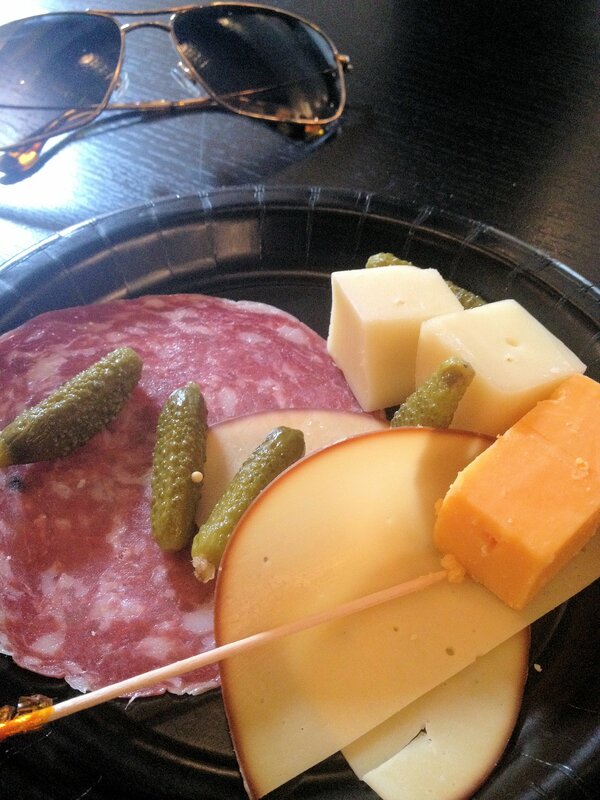 At this point, we got a break to collect some charcuterie. Good selection that went well with the rest of the beers. Don’t mind the plating…I put this one together myself. I need to remember to eat before going out to these things. Fruity nose and taste. Orange/citrus notes. 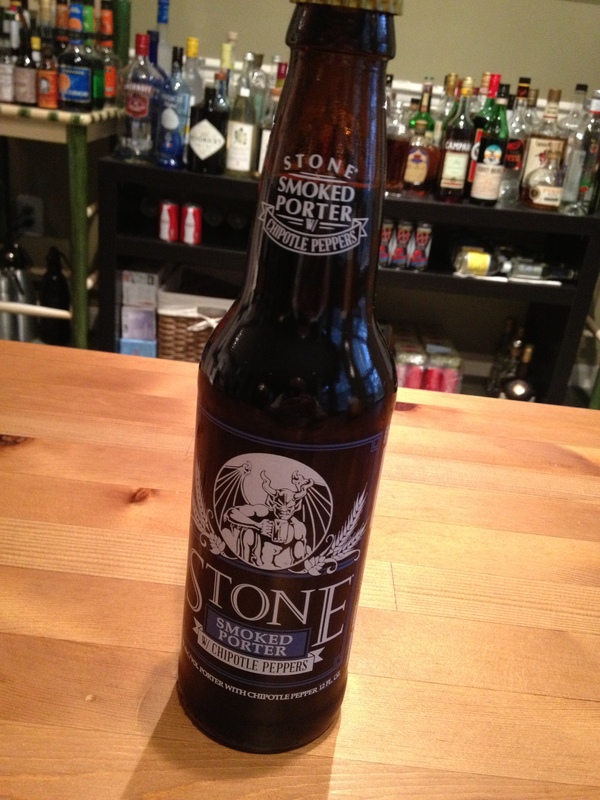 I wasn’t sure what to peg the flavors in this as…I thought soy sauce, and somewhat similar to the next beer. More intense flavors than the Hitachino, and a little more bitter, especially at the finish. From what I gather, for a hoppy beer, this wasn’t that bitter though. 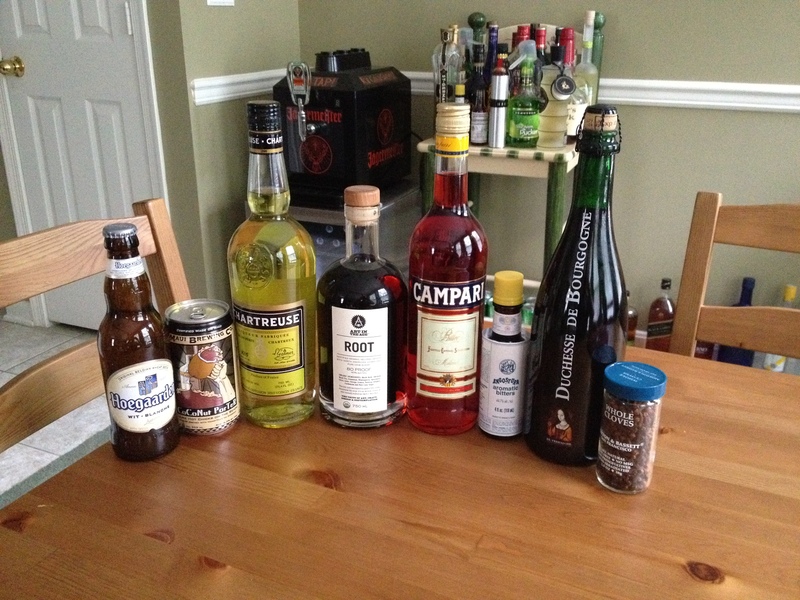 As I don’t normally drink a lot of beer, I have more taste testing to do before I can figure that out on my own. As mentioned above, I found this similar in taste to the Duck-Rabbit (although I’m not sure I should’ve with the different flavor categories they fall into). I found this one to be a little bit mellower and sweeter. Cleaner finish than the Doppelbock. Bready nose and taste with a hint of grapiness. I don’t know how something that tastes doughy can also be crisp, but surprisingly it was. The last four beers. Hard to pick a favorite out of this group, but I’d probably say the HopDevil (the one on the left in the top row). Local isn’t good just because it’s local. Hungarian oak barrels are the best. There are more U.S. brewers today than at any time since 1889. The people who brought you ChurchKey will be opening Bluejacket around March 2013. Location will be near Nationals’ Stadium. I haven’t made it yet to ChurchKey, but after this class, and my subsequent rediscovery of beer, I will be dropping by in the near future to try some more.